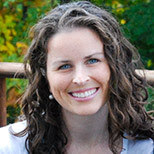 Lindsey Konkel is a New Jersey–based freelance journalist. She writes about science, health and the environment. Her work has appeared at print and online publications, including Newsweek, National Geographic News and Environmental Health Perspectives.